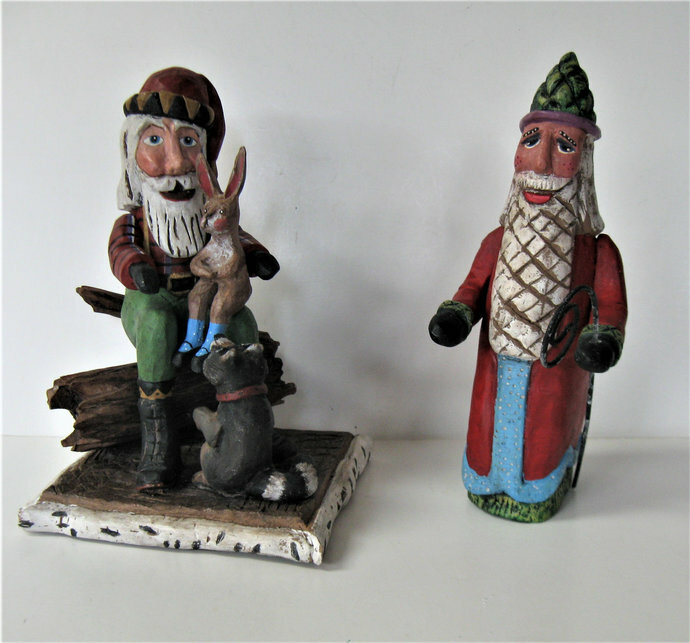 These two wonderful figurines feature Santa Claus with a rabbit and raccoon, and a Santa with a staff. The Santa with the animals measures approximately 5" x 5" x 8" tall and is signed Peg Herrick on the bottom. It is in great condition. The Santa with a staff is 8 1/2" tall. It was purchased with the other piece and looks like a Peg Herrick but the bottom is missing so there is no signature. It is in good shape with a few paint chips missing. Great set for your mantel, centerpiece or for original Santa collectors! If you would like more than one item, combined shipping may allow you to save on shipping. 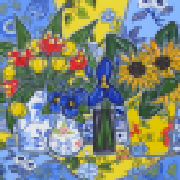 I offer World wide shipping and combined shipping rates when multiple items are purchased . Overages of $2.00 or more refunded.